Fits neatly in purse or pocket. Left and right pockets specifically for passport, customs card, or baggage claim ticket. 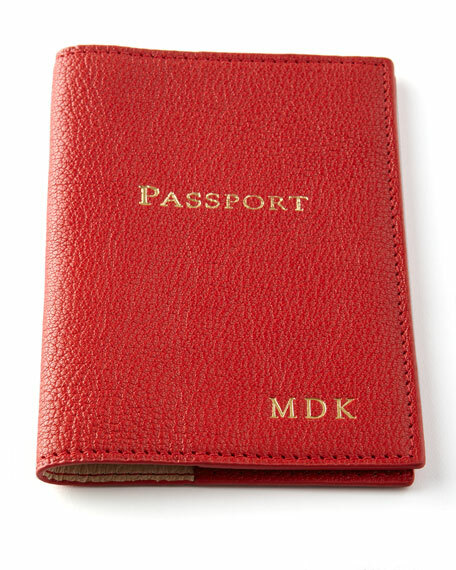 Personalized with up to three initials in style color shown.